Today is World Enviorment day. People will celebrate this day with tree plantations, forwarding environment related messages on whatsapp, presentations, talk shows and seminars etc. Are these activities making any impact? Sadly, the answer is NO! Fact is, we humans are stubborn and chained by our habits. We don’t like changing our lifestyle which makes us uncomfortable. Important question to ask is what are we personally doing for the environment? I’m sharing three pictures to highlight some of the environmental issues here in Jaipur. No issues with that, everyone is free to enjoy within legal limits. But leaving behind bottles, empty wrappers, plastic glasses flying around is not great. There is large amount of trash lying on both sides of the road. Leftover of “Good Times”….Probably!! Would you ever do this to your home? throw empty beer bottles around ? Grow up!!! Trash lying on Heritage walk way in walled city area of Jaipur. This picture was clicked at the Heritage walk way in the walled city area of Jaipur. It is enough to put all citizens of Jaipur to embarrassment! Heritage walk way draws many tourists, everyday. A picture from Jaipur Heritage Walk way. Click here for details. Tourist would love to see this rather than trash lying all around on Jaipur Heritage Walk way. Looking at all this filth strewn around is a shame . Local residents just dump their garbage in front of their house for the sweepers & cleaners to pick it up. Till the time this clean up takes place, litter sits on the street creating a scene similar to the above picture. Probably, these people just want to keep their houses clean. Neighborhood? It’s not their problem. This reminds me of a YouTube video I came across many months ago of a person living in Mumbai. He would get infuriated with the people throwing trash out of their moving cars on to the road. To teach them a lesson, he would pick up trash thrown by these insensitive people and follow their car to dump it all back in their car! It’s not a bad idea, if it works!! Mansagar Lake. polluters threatening ecology!! working for earning some good karmas!!! This above pictures were clicked at Jal Mahal, famous tourist attraction in Jaipur. It is popular among tourists by the name of water palace. Here is picture of Jal Mahal along with Mansagar Lake. The Mansagar lake surrounding the Jal Mahal is home to various species of fishes, birds & turtle. Many people throw bread, biscuit etc in its water to feed resident fishes unaware that their action is causing damage to its delicate ecology. You can read the entire story here in this write-up posted earlier. Newspaper reported recently about dying fishes due to water pollution. Yes, we need to plant more trees, bring down the pollution levels and so on. Can we at least improve upon environment & things around us ? Make a small change rather than participating in press conferences, talk shows etc which makes no difference ? More action and less talks! You can read more write on conservation here. I have noticed the same kind of behavior of people in other places. Humans are similar at some level, although behavior varies depending on educational, religious, cultural factors. I hope things change for good. Thanks for posting your views… Appreciate it! This does seem to happen everywhere. The only good thing is that it does seem to be slowly improving as people begin to understand its importance. Hey Niken! Thanks for offering your view point. it’s true. Almost all current problems are our own making. But we are so used to comforts that we can’t take harsh measures to resolve. I’ll be happy to know what issues is being faced in your country! Things can change only if people understand that India is their home and to treat every street every inch of the land as their own home. Would they throw things like this in their homes ? That’s true. I hope people realize it sooner! 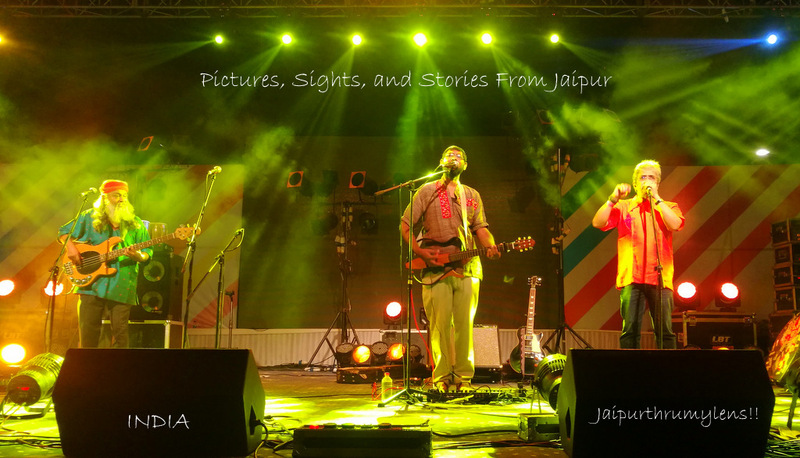 Very very thoughtful post, in the Jaipur perspective. This is the story of almost every city, big or small in India. But things are changing slowly. Appreciate your point of view ;thanks for commenting. While i can appreciate a day to focus on our environment. It will not be solved by one day alone. It requires a commitment to ensuring our footprint is minimized. The pictures above. Are not restricted to the city of Jaipur, the state of Rajasthan or the country of India. There are too many other places as ugly from trash. Needlessly and thoughtlessly chucked away. Sometimes, it seems that for every one person trying hard to eliminate such gross mistreatment of the environment. There are ten others that have little conscience. The garbage that is on the land is also magnified ten-fold in our oceans. So, while a day like “world-environment” might be celebrated? We have so little to celebrate over. Rich or poor. We need to focus on how our children’s, children’s, children and what planet will they inherit? Cheers Jamie. Hi! It’s a very sad reality that we live in, people love to talk & forward messages than doing something worthwhile. Shubham, I’m aware of the cleaning drive undertaken by Jaipur Runners club in Central Park. Great initiative. It’s unfortunate that we all grow in an environment where dumping anything anywhere is a norm..and is considered as a normal practice. What happens when kids watch parents dumping things? They grow up with same practice! India is the most beautiful country, but Indians are a sorry lot. I wonder why we take so minimal pride in it. Nah, we are just lazy, and care a damn for our country. Everything else is a coverup for the above 2. I can’t disagree with this! I think you have used your photography skills to highlight one of the biggest problems we face here in India. Kudos for that! Pingback: Most Popular Sunrise Points in Jaipur – Jaipur Thru My Lens ! !